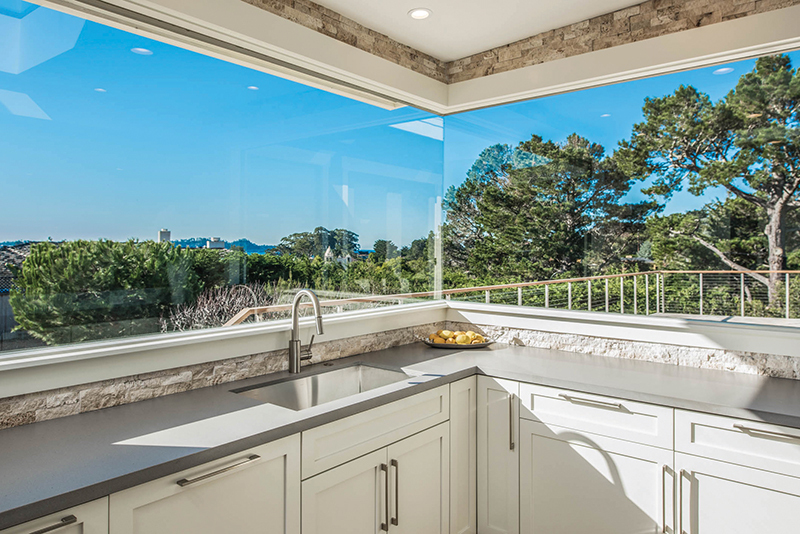 This flip of a 1960s home resulted in a “Sold” sign after only 10 days on the market, thanks to the complete floorplan makeover and design updates that take advantage of the beautiful ocean views and natural light. 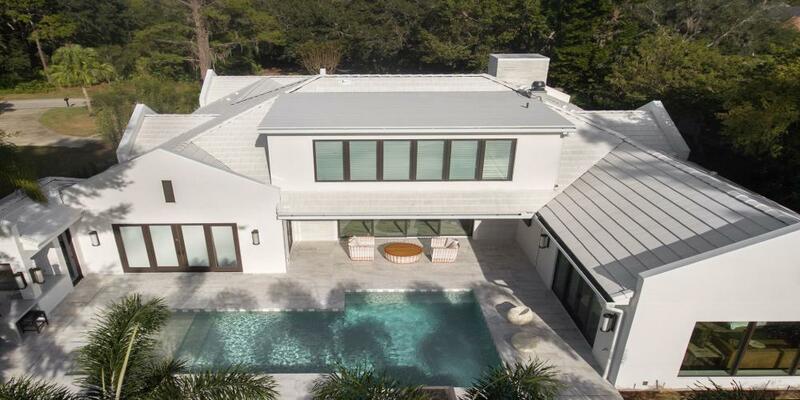 The ocean views accessible from the side of the house were maximized by three corner windows (in the kitchen and two master bedrooms) and three extra large patio doors. Five oversize skylights allowed natural light to fill the spaces not overlooking the water. 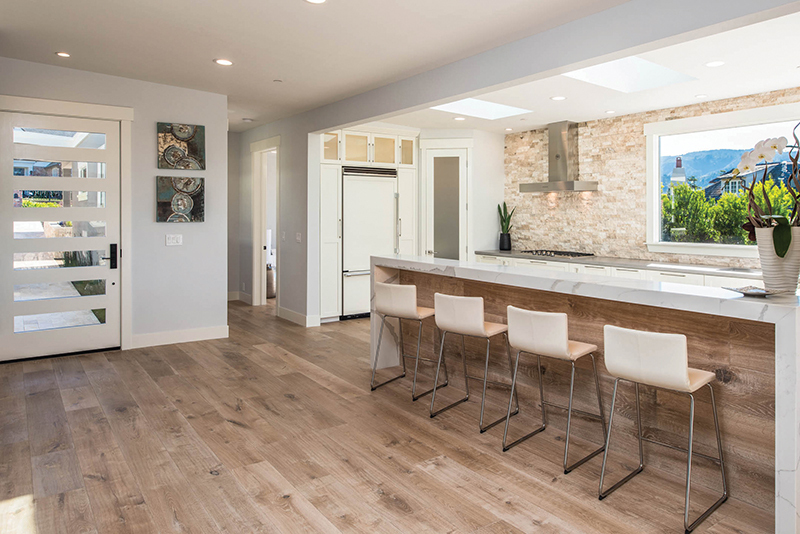 Hardwood floors were replaced with 10-inch-wide white oak planks throughout the house, complemented by Travertine stacked stone walls in the kitchen and accenting the fireplace. Custom cabinetry and walk-in closets give character to the space, and replacing dark, enclosed showers with curbless models featuring both allows more natural light in and gives the space options for aging-in-place.